If you wernt sure before I've copied the dash symbols and their meanings from my book. Good one, many thanks for that Printed it off Any more goodies ? Does anyone have any idea what it means? 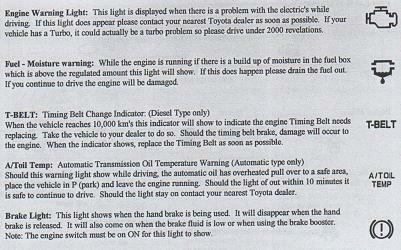 check your brake lights and your indicators it could also be rear parking sensors not working? Thanks Dave, we're virtually neighbors! It seems to relate to the brakes, because if it comes on, it does so after I put my foot on the brake pedal. 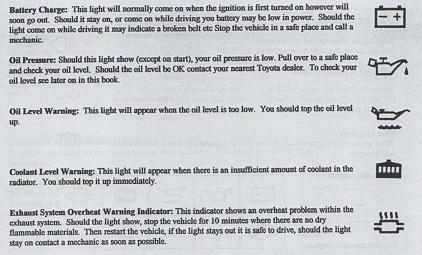 could be brake warning light as in rear brakes need ajusting or replaceing. 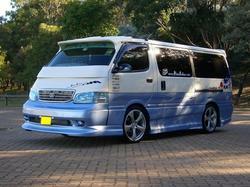 what suburb you in i'm in moorabin. Thanks Dave, I'm in Parkdale. The brakes may need some adjusting, but as I said, they still work well. Fortunately I don't commute with the van, so that job may have to wait till I've got some cash to splash. One of the other threads gave me the idea that it may be the ABS light. No it's a light bulb failed light. Anything from a blown bulb to bad earth. There is a unit that detects voltage drop and this sends the signal for the dash lamp. Thanks Clive, I've checked the bulbs all seem to be working OK, so a bad earth is a possiblitiy. Bad Earth! Naughty Earth! Go sit in the naughty corner! same thing happened to me sometime back. it was a blown brake bulb !!! also if theres a problem, somthing like a short with ur power line which goes to the brake lights, you cant go more than 60Kmph. [quote="Admin"]If you wernt sure before I've copied the dash symbols and their meanings from my book. Hi: Perhaps you can assist me - new to forum and unsure of all operations etc. Have tried without success to remove my rear seats from my 1994 Supercustom 3l Diesel without unbolting the whole works. I seems there must be a way to slip the seat unit out juging by the instruction note (All in Japanese and thus Greek to me!!) stuck inside the rear cab by the sliding door. Any help please?? Would you be so kind as to look "in your book" a copy of which I would dearly like and pay for !! What Bulbs do the dash meter use ?